Most of us, I’m sure, will have experienced that sinking feeling at some time or other — the one when we realise that we should never have sold that gun. A rifle or shotgun is rarely just a tool — it becomes a treasured possession. But, for whatever reason, be it monetary necessity or the lure of a newer model, I bet every reader remembers at least one gun they regret selling and wish they could own again. Replacing it years later with a similar model is just not the same. Sometimes you get lucky and those old guns can resurface in the most unexpected of places. I had one such encounter with a rifle I sold some 25 years ago — now we are reunited and it’s marriage for life. First on my list of rifles I wish I still owned has to be my first airgun: a Weihrauch HW35 in .22 calibre bought second-hand for £50 when I was a teenager. It took me ages to save up pocket money, Christmas and birthday money until I could afford it. That was in the days when £5 was all you got for Christmas! I learned everything from that old HW35, including proper sighting and trajectory drop with the only pellets I could get, Eley Wasp and Milbro. I nearly cleaned away the bluing with the attention I gave that air rifle. I kept the HW35 for 30 years and shot hundreds of thousands of pellets with it; goodness knows how many rabbits, pigeon and rats fell to its unerring accuracy. Landmark moments such as my first rabbit and first squirrel were taken with this old friend. However, when my parents were living in Scotland a young lad nearby was keen to start shooting, so I sold him the HW35 for virtually nothing because I had a few other air rifles I could use. It was probably a year later when I started to regret it, pining after the HW35 because I missed its unique ring cycle. Sadly, the new owner had moved so it was gone forever. I have other HW35s now, including the upgraded Export model I could never afford as a teenager, but I will always miss that original Weihrauch. My next tale of woe is about a superb little carbine, but it has a better ending. Ivan Hancock and Dave Pope set up the Venom Arms Company back in the early 1980s. Their forte was custom spring-powered air rifles of the highest quality but, as with most shooters, Ivan and Dave liked their rearms and shotguns too. Ivan had built himself a gorgeous Thompson Center Contender carbine in 730 Waters cartridge, with his trademark custom walnut stock. I was in the right place at the right time: Ivan was slimming down his collection and up came his little-used Contender. After a handshake and some cash, it was coming home with me. 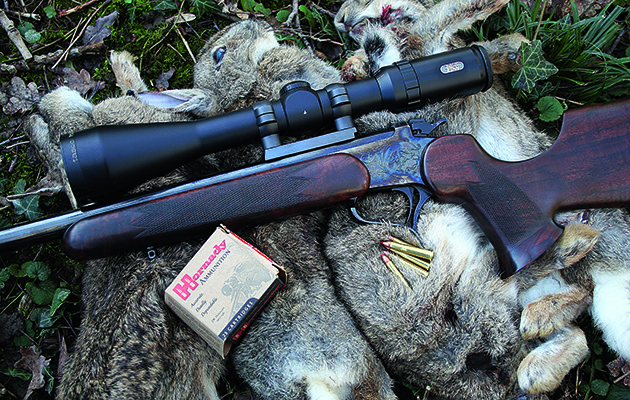 I loved that carbine: its unusual calibre, superb accuracy, beautiful finish and unbelievable wood. The trouble was that it drew the attention of my friends, one of whom pestered me to sell it to him. I finally relinquished it as I needed the money, but as soon as I sold it I regretted it. However, I am still friends with its new owner and I am allowed to see it at weekends. There is a happy ending to another story about a rifle I sold and became reacquainted with by pure chance some 25 years later. This was my first custom rifle, funded by an inheritance from my grandparents. Most 21-year-olds wanted a car, but for me there was no contest — I wanted a custom rifle for crow shooting. I had Delta Firearms source the parts in America and project-manage the build for me. 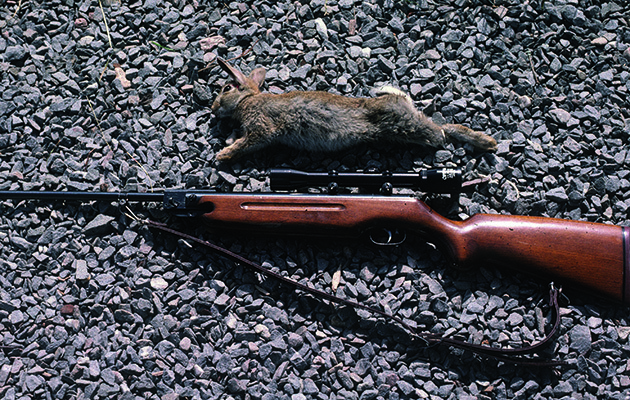 The action was a brand-new Sako A2 — it cost £300 — that was sent to Shilen to be barrelled with its match-grade stainless steel number 5.5 contoured 24in barrel chambered in .22250 with a minimum-specification chamber dimensions. When completed, it was sent to Harry Lawson in Arizona, a master custom stock maker with a amboyant are. I loved his vision of custom stocks, and his Cochise thumbhole model was my dream stock design. I could only afford grade 4 walnut, Claro-type with lovely colour and ddle-back grain. Harry also custom-inlet a diamond maple wood crescent to the fore-end and bedded the whole action to the stock with Acraglas, so it shot as well as it looked. You can image my delight when it nally arrived. I used this rifle for all my vermin jobs around my uncle’s farm in Kent and in Scotland. 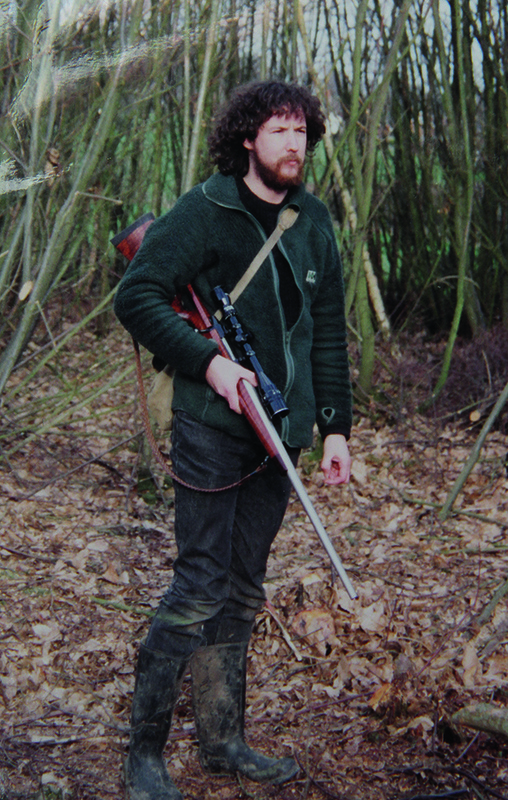 In my late 20s, I set up a wildlife photographic business and needed some cash for camera lenses so, with regret, I sold the rifle to my friend, Joe, who owns the Gunshop in East Barnet. I had more custom rifles made to that original spec, but I wished I had my old friend back. One dayI walked into Joe’s shop and there on the wall, some 25 years later, was my Sako custom. Joe explained that the owner who bought my rifle all those years ago now needed the money and I had just walked into the shop at the right time. I bought it back and it was still in good condition, though the barrel was a little worn. I had it re-barrelled by Callum Ferguson in Scotland to the outrageously large .22284 wildcat round. This rifle now shoots 30-gr Berger bullets at 5,144fps — and I am never letting it out of my sight again! There are some rifles I would never sell and my favourite is a well-worn Tikka M55 rifle in .308 Winchester that I bought when I was 17. It cost £140 from Leslie Bowlers in London’s Elephant and Castle. I still have the sale ticket and remember going on the train with my mother to pick up the Tikka and returning to sixth-form college to show the geography class. The teacher taught a class on Finland’s topography and industry based on where the Tikka was made. Those were the days!